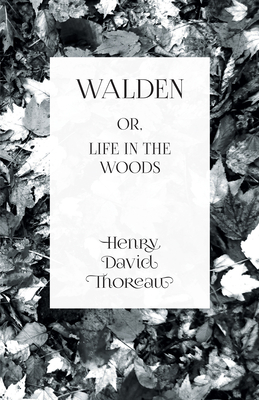 "Walden" is a 1854 work by American transcendentalist Henry D. Thoreau. It concerns Thoreau's experiences over a period of two years, two months, and two days spent in a cabin near Conrad, Massachusetts. A reflection on simple living in nature, it is partly an exploration of personal freedom, partly a social experiment, and partly a voyage of self discovery. This volume is highly recommended for those with an interest in Transcendentalism and nature writing, and it would make for a worthy addition to any collection. Henry David Thoreau (1817 - 1862) was an American poet, philosopher, essayist, abolitionist, naturalist, development critic, and historian. He was also a leading figure in Transcendentalism. Other notable works by this author include: "The Landlord" (1843), "Reform and the Reformers" (1846-48), and "Slavery in Massachusetts" (1854). Many vintage books such as this are becoming increasingly scarce and expensive. We are republishing this volume now in an affordable, modern, high-quality edition complete with a specially commissioned new biography of the author.